Get spaced-out tones right from your pedalboard. 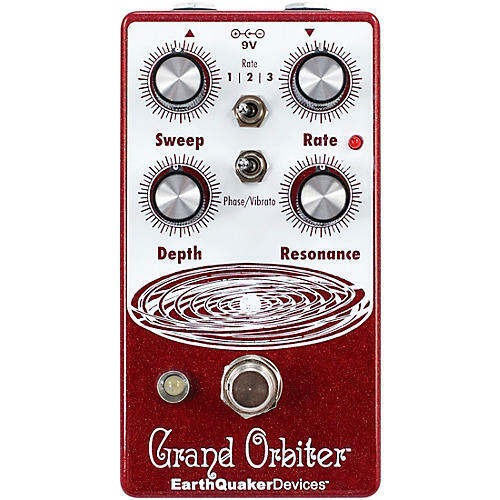 The EarthQuaker Grand Orbiter is a 4 stage OTA-based phaser with a diverse feature set that can go from stationary and resonant to slow and mellow and on through fast and swirly. It has a three-way toggle switch to select between the ranges of modulation: Rate 1 is slow sweep mode, Rate 2 kills the LFO and allows you to use the Grand Orbiter as a fixed resonant filter and Rate 3 is fast sweep mode.